It takes a sizable imagination to look at an industrial warehouse and envision it as a perfect family home. But that’s exactly what visual effects designer Ash Beck did when he bought a warehouse in Hermosa Beach, CA. He transformed what was once the location of a microchip manufacturer into a luxurious loft-style retreat. 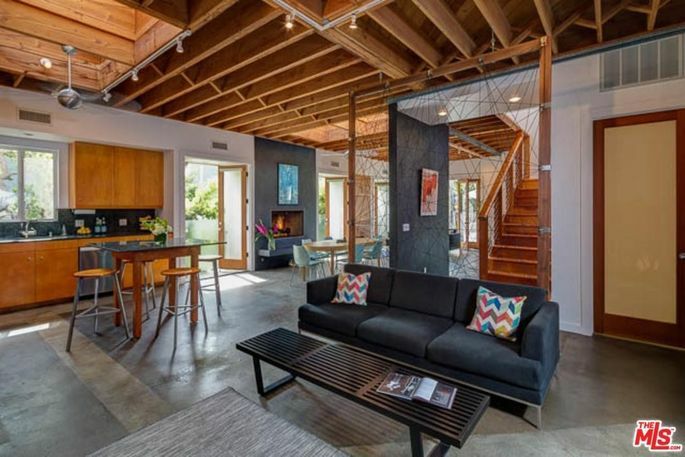 The stunning conversion is now available for $2.75 million. But he won them over. “Once they saw what I was doing with the design based upon code and their feedback, they embraced my vision and approved the plan,” he says. Rather than tearing down the building, he converted it into a warm and inviting space. In partnership with architect Brian Noteware—who finalized the designs—the one-story building morphed into two stories with a wraparound deck. Cinder block brick was smoothed into a stucco exterior. The parking lot out front was demolished, replaced by a front yard with fire pit, seating, and drought-tolerant landscaping. The neighborhood has also been dramatically transformed since the 1990s. It’s now zoned “strictly residential,” says listing agent Barry Gray. 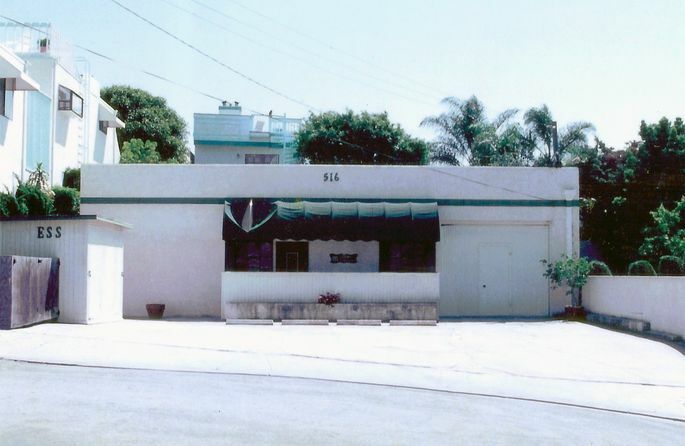 He believes Beck’s warehouse conversion from commercial space to residential home was the first of its kind back then. That doesn’t mean the former warehouse exactly blends in. “It’s unusual for that beach community, where traditional and Cape Cod homes have become popular,” he says. 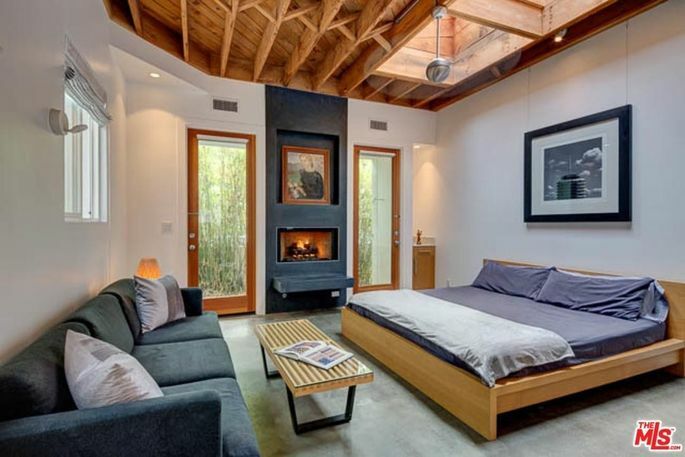 This residence is more “urban downtown.” The interiors include high ceilings, multiple skylights, french doors, concrete flooring, and exposed wood beams and rafters. The 3,259-square-foot layout features four beds and three baths. The second-level deck has already been pre-engineered to be enclosed, should the next owner want to add more interior space. The first level features a great room with fireplace, a kitchen, and dining and living areas. 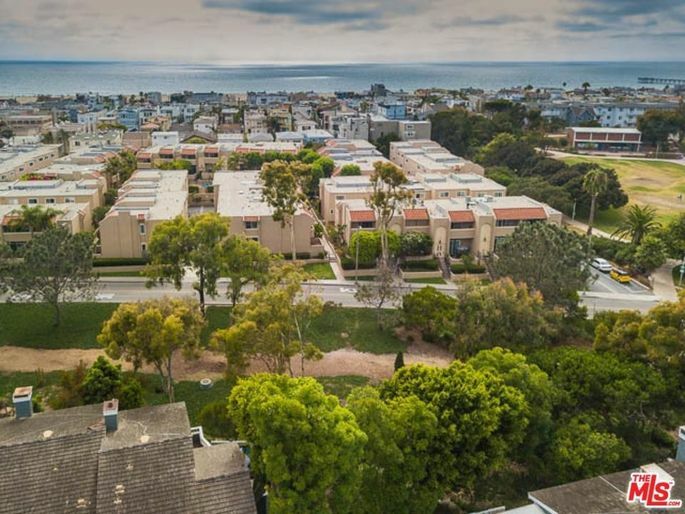 There’s also a wine cellar, recording studio, garage, and rooftop deck with ocean views. The home sits on a quiet cul-de-sac and is close to the beach and park. In addition to the masterful warehouse conversion, Beck also has a long and impressive resume as a visual effects designer. His music video work for Nine Inch Nails and Madonna are in the permanent collection at the Museum of Modern Art in New York through director Mark Romanek. Beck is moving on to his next project, so the next owner can relax in the home he created from a concrete box. Claudine Zap is a writer who covers a wide array of topics, including home, entertainment, travel, food, art, and culture. 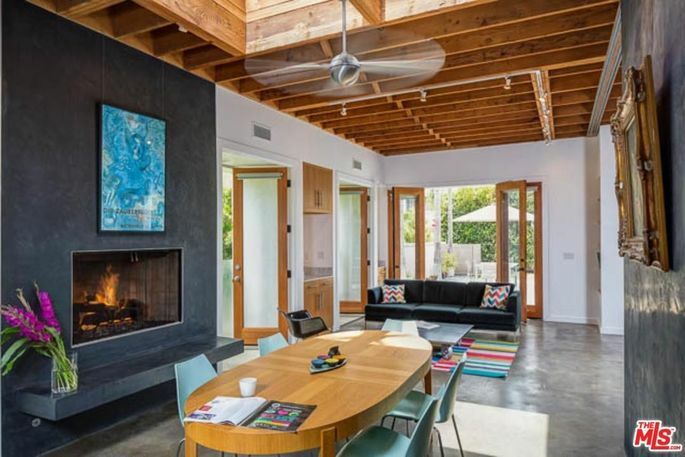 Former “Brady Bunch” star Eve Plumb sold her Malibu beach house for $3.9 million last week — a huge return on the $55,300 she shelled out when she bought the pad as an 11-year-old in 1969, the L.A. Times reported. Even adjusting for inflation, that’s more than a ten-fold return on her investment. Plumb, now 58, was no ordinary tween at the time she bought the property with the help of her parents. Her five-year run as the beleaguered middle sister Jan on the “Brady Bunch” was just beginning, but she was already a veteran child actor with the western TV series “Gunsmoke” and “The Big Valley” on her resume. The 850-square foot cottage, built in the 1950s, may be modest, but Plumb’s pad sits on a plum piece of property — right on Escondido Beach. The three-bedroom house will make way for an ultramodern manor designed by Meis Architects, the firm behind the Staples Center, according to the report. There will be a retractable moon-roof and floor-to-ceiling glass walls in a 3,500 square-foot abode that’s fit for Marcia. Plumb has continued to act in recent years and was seen most recently in the “Grease Live!,” which aired on Fox in January. On a sloping lot off Glendale Boulevard, this 1935 guest house designed by noted Modernist Rudolph Schindler is a compact example of early modern architecture in Silver Lake. That’s according to an application filed for the property’s Historic-Cultural Landmark status, which it won in 2012. With one bedroom and one bathroom spread out across 700 square feet, the compact dwelling, called the McAlmon guesthouse, has large, well-placed windows, a full kitchen, and a small, original brick fireplace. It has undergone “a respectful renovation by the current owner includes a complete historic recreation of its bathroom,” the listing copy says. It has its own terrace and outdoor space, as well as a one-car garage and a driveway. The Calabasas home of Staples Center architect Dan Meis is far removed from the sports and entertainment stadiums he is known to design. But the architect is looking for a new venue. Meis recently listed the warm, 2,986-square-foot home on Cold Canyon Road with an asking price $2.5 million, Curbed reported. 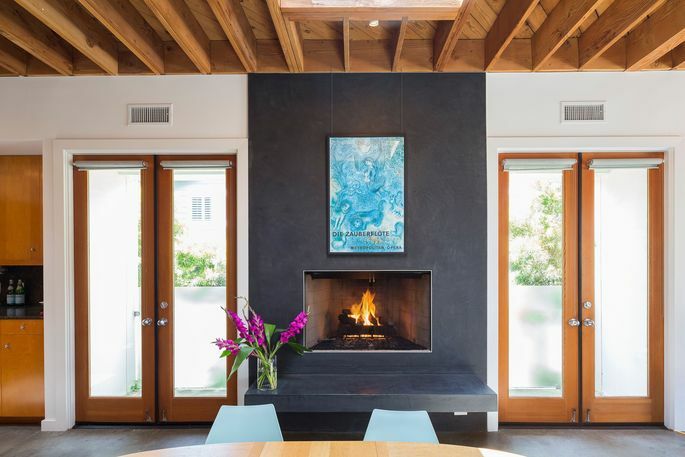 Located in the Monte Nido neighborhood, the post and beam home has four bedrooms, three bathrooms, two indoor fireplaces, an outdoor deck and an art studio with its own entrance. Permits have already been secured for a hillside swimming pool and guest house on the property, according to the listing. Meis purchased the home in 2015 for $1.9 million, property records show. He renovated the property extensively but preserved the original design by architect Douglas Rucker. Meis, the founder of Meis architects, led the design of stadiums including Seattle’s Safeco Field, Cincinnati’s Paul Brown Stadium and Philadelphia’s Lincoln Financial Field. Families seeking seclusion in the city and ample space to grow and entertain will appreciate this five-bedroom, six-bath home in the Langham neighborhood of Pasadena, California. A Dallas transplant who moved to California to head a solar company, Van Scoter names the home’s efficient and smart features as among his favorites. Three sets of panels maximize the solar potential of the property, providing electricity, supplementing the hot water supply, and powering radiant heat from the floor. 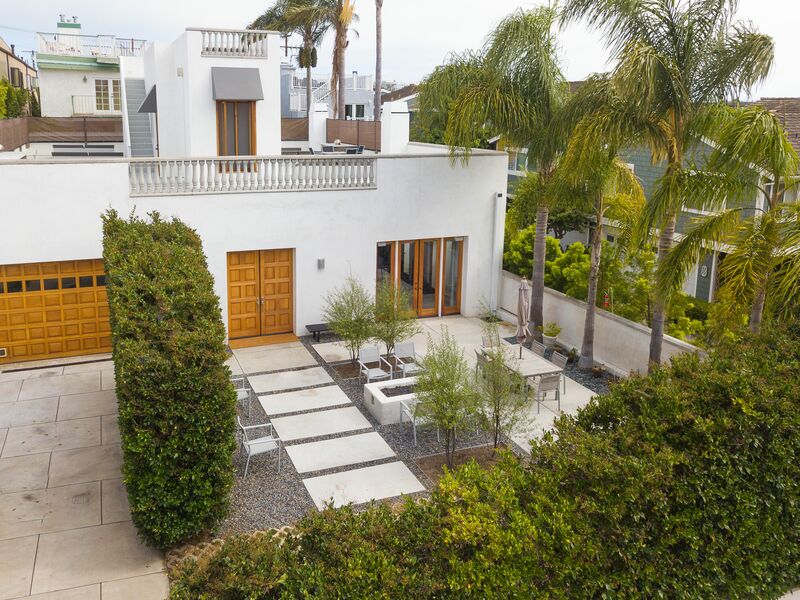 The house also benefits from a premium reverse osmosis water filtration system throughout that is “better than bottled water by far.” With electric venting skylights installed in all the bedrooms and bathrooms—plus a living area that flows outdoors—the house offers bright, airy, Californian living on a private lot. Architect Dan Meis, known for designing modern stadiums and sports arenas around the world, has put his own home court in unincorporated Calabasas up for sale at $2.25 million. Sitting among oaks and mature trees in Monte Nido, the post-and-beam was renovated by Meis, who incorporated a mix of new materials while preserving the home’s original vibe. The 1970s house was originally designed by Malibu-based architect Douglas Rucker.